Non-slip cork backing, precision measuring, 16ths permanent markings. First inch is marked in 32nds. Centimeters and millimeters on the other edge. 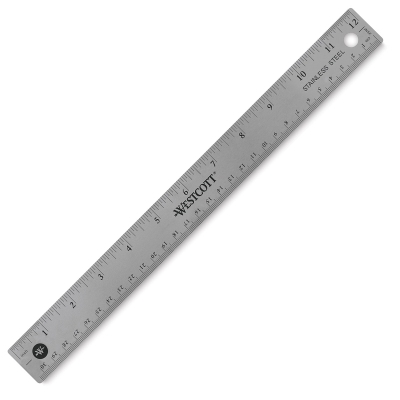 ® Westcott is a registered trademark.® Westcott is a registered trademark. ® C-Thru is a registered trademark.